Not so fast. 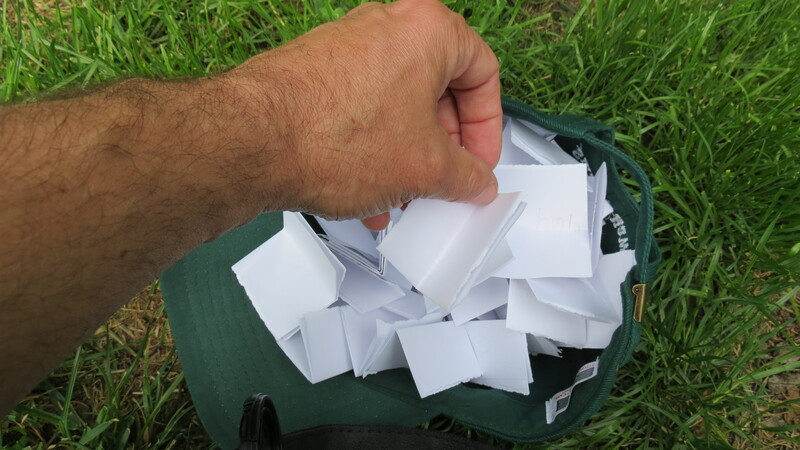 Did you really think I would just announce the winner of the garden tools/seed embedded products giveaway without some sort of build up? If all of these home/garden/fashion makeover shows can drag on for an hour until the big reveal, I’m sure I can come up with a few hundred words. Actually, I want to thank everyone who participated by adding their advice. That was, after all, the goal of the giveway — the chance to plant a seed and hope that it would germinate, take root, and grow. Thanks to all of you, there is now a garden of information. Now for the selection of a winner. 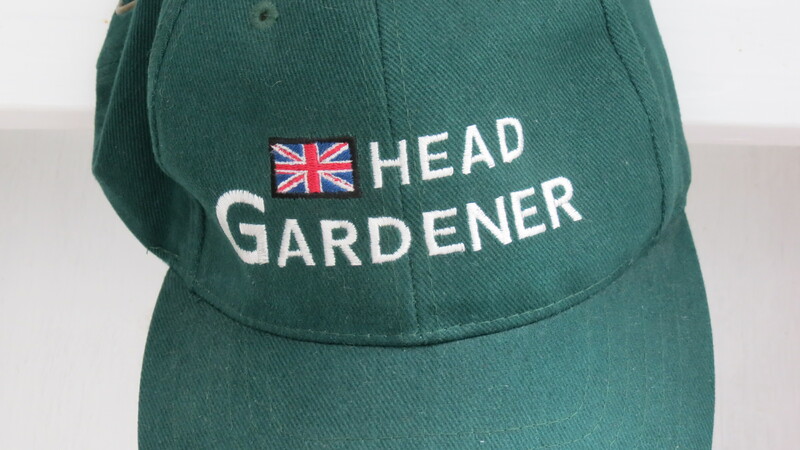 All of your names were placed in the Head Gardener hat. I asked for this hat several years ago – and the hat has remained in my closet ever since. I don’t really have a head for hats – especially not the shape of this one. It’s not exactly a baseball hat, more like a trucker hat. It sits high on the head, and each time I wear it, I feel like I’m being buried alive. Inevitably, I rip it off my head, throw it back into the closet, and then massage my scalp and muss up my hair. Fortunately, it has now found its use. This is so exciting . . .
Congratulations! One of the best things about this giveaway process, in addition to the wisdom of regular and new readers, is that I was able to discover a new-to-me gardening blog. Plant Hoarder, who is self-described as “an ordinary obsessed gardener trying to make a few flowers and vegetable grow in weed, bug, and blight filled world,” is filed with practical advice and photos. I especially like the photos of plants dusted with sugary frost. So, thank you all again for helping to make my one-year anniversary not only informative, but lots of fun. Woo hoo! Thank you for the nice intro and thank you in advance for the great giveaway gifts. Loved reading everyone’s advice. Congratulations on your one year Blogoversary! 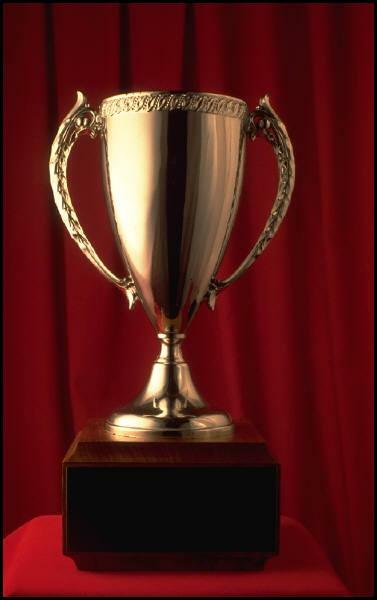 You’ve made a great blog here; you should be proud. Thanks, once again, for sending me out into the garden doubly smiling. I enjoyed it as well — and we all walked away winners! Congratulations to you and to Plant Hoarder. It was really interesting to read all the bits of advice people posted. Hi Marguerite. Thanks for everything — it was a fun experience. Who knows what the next giveaway theme will be? 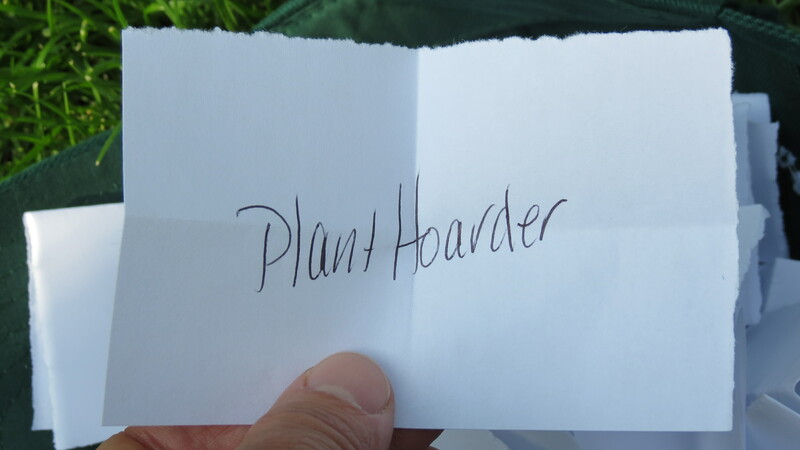 Congrats to Plant Hoarder! Loved how you categorized the advice, Kevin. I think that was my favorite part. Congrats to you on one year and to Plant Hoarder on the win. Many thanks. It was a lot of fun. Cheers!